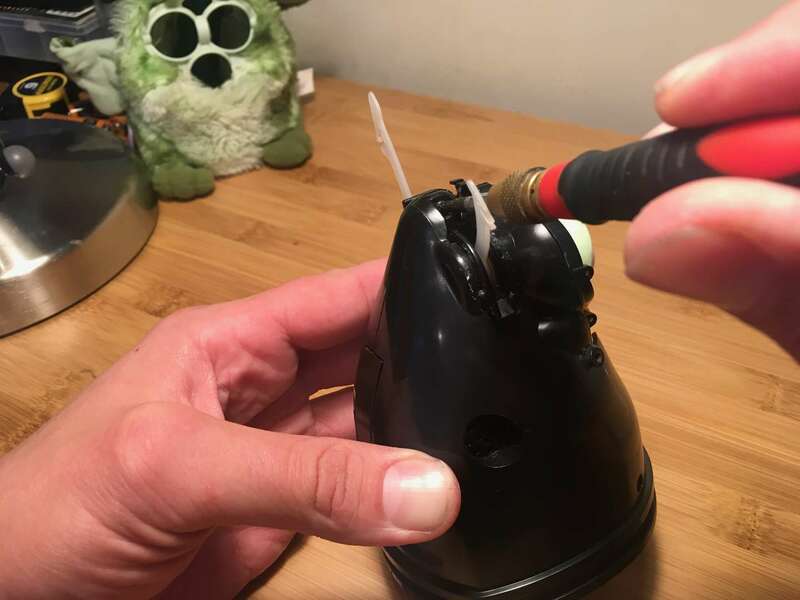 This short teardown guide will teach you how to disassemble Furby. 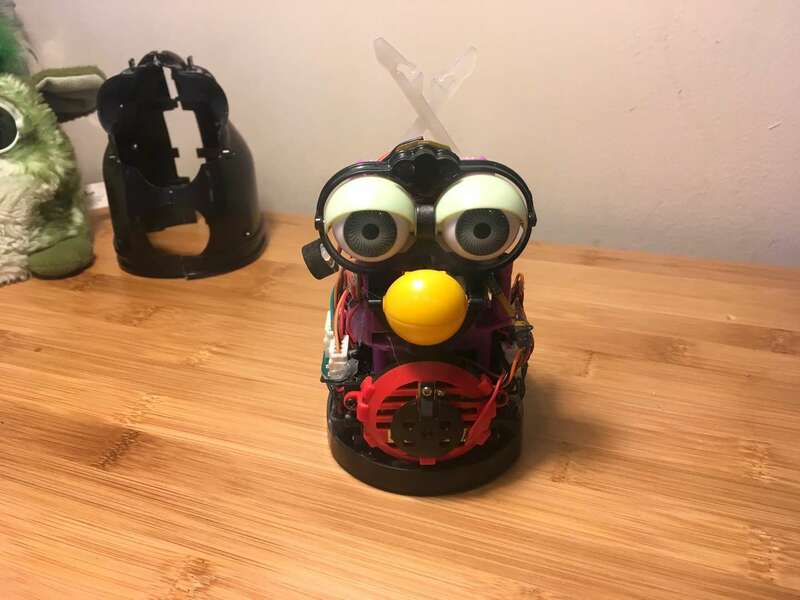 Perhaps you need to do this to fix your Furby, or to turn Furby into an Amazon Echo -- whatever the reason, this guide will get you going. The Furby I'm disassembling is an original Furby (circa 1998), but the instructions for newer Furbies will be similar. This sad but crucial step is an easy one. 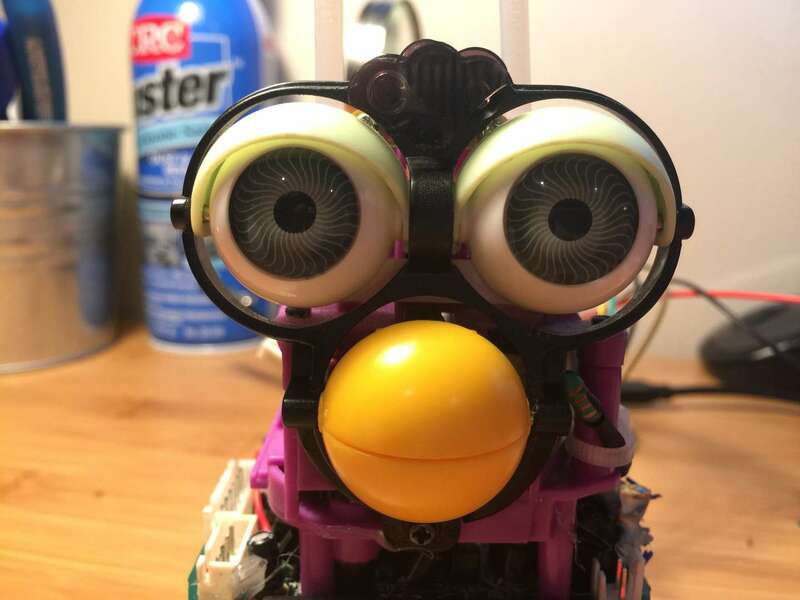 We need to carefully remove Furby's fur so that we can access his insides and start transplanting Alexa. Before you start, be sure to remove Furby's batteries. Furby's fur is primarily held on by a small plastic zip tie at his base. Locate the head of the zip tie and snip it off with some wire cutters. We'll replace this later with a new one. You may need to cut some of the fabric away to expose the head of the zip tie. 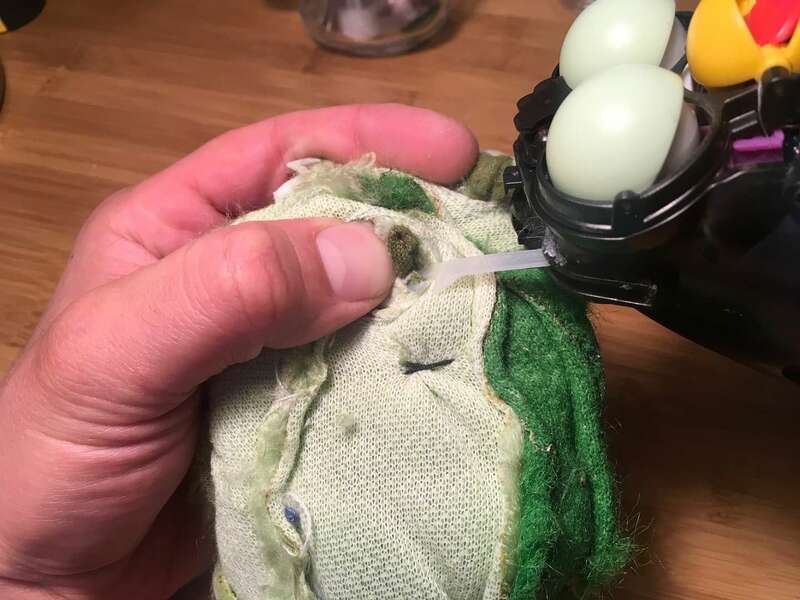 Carefully roll Furby's skin upwards until you reach the faceplate. I just realized that the "Fur" in "Furby" comes from the word fur. That only took 20 years. 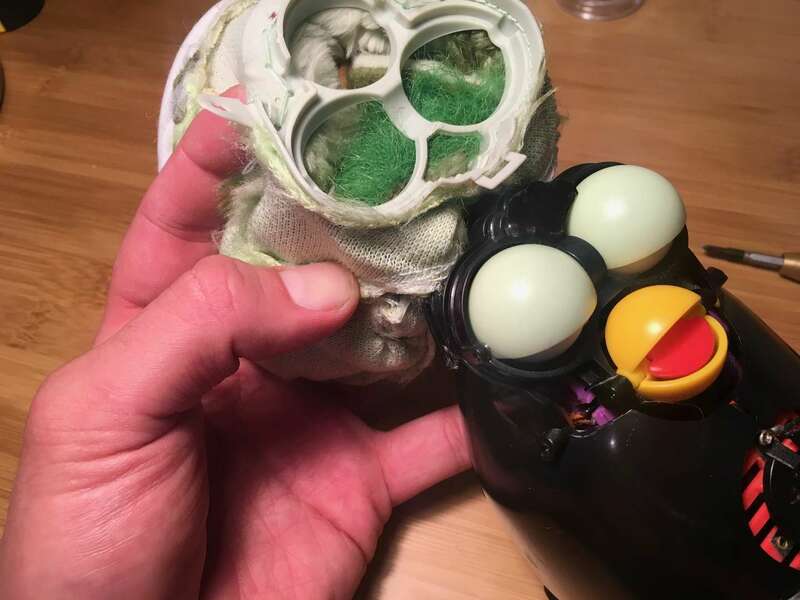 Before you can finish removing Furby's fur, you need to remove his faceplate. Remove the two small screws on either side of his head. There is a small amount of very weak glue securing his fur on the outside of his eyes. Simply pull his fur gently to remove it from this glue. Finally, there is a small open hook at the top of the faceplate. Unclasp this hook. The last things holding Furby's fur in place are his ears. His ears are plastic and have loops at the end; his fur is bound to these loops with thread. Snip this thread and remove his fur fully. Like a large insect, Furby has a hard exoskeleton. Remove the four screws that hold it in place -- one on his head, one on his lower back and two on his sides. Separate the two halves and slide out the small microphone that's embedded in his side. 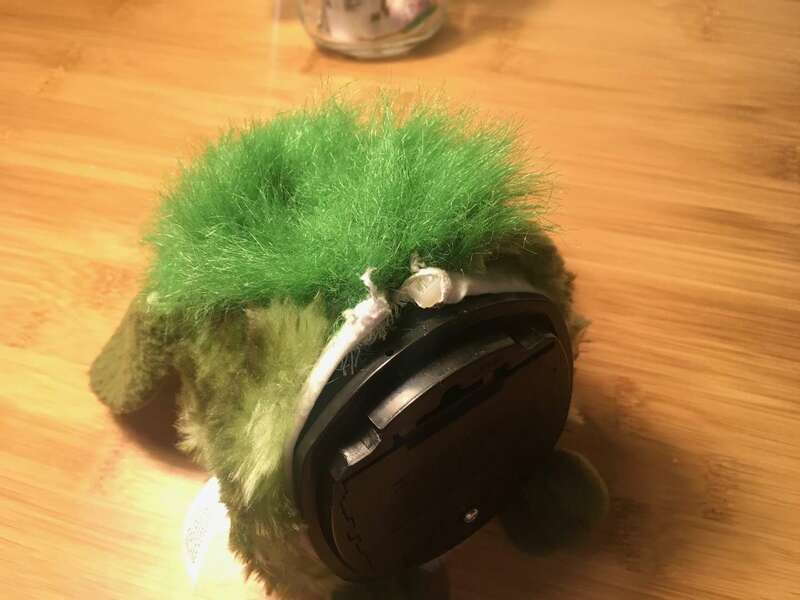 If you wish to remove Furby's speaker to replace it, simply remove the red front speaker grille assembly by removing its two screws and disconnect the speaker's white connector. Furby's speaker is 32 ohm and 0.25 watts and has a diameter of 40mm, in case you find that interesting. Don't look him in the eyes.